I am a practitioner of Hijama, Acupuncture, Reflexology, Reiki and Massage. I got my formal training in Malaysia, Indonesia and also my home country, Singapore. Before I got into the world of CAM(Complimentary & Alternative Medicine), I used to work in the Civil Service for almost 31 years. Over the years working in the Civil Service, I had developed acute migraine, due to work related stress. At times when the migraine would strike, I felt that my head was going to burst followed by extreme vomiting. I used to prescribe to Ibuprofen and other powerful drugs to rid off my problem only to succumb to it the next few days. After I retired from the Civil Service, the problem would still haunt me until one day a friend of mine recommended me to a Hijama practitioner. I was skeptical initially but still willing to try. I had a small portion of my head shaved and blood was sucked out from it. The practitioner showed me what what drawn out from my head and I was completely shocked by what I saw. Most of my patients whom I’ve treated so far suffer from illnesses such as migraines, vertigo, gout, asthma, diabetes, stroke and those suffering from high blood pressure and high cholesterol. From my experience, those who suffered illnesses such as migraine, severe headache, vertigo, eye infection as well as asthma responded well to the Hijama therapy after 2-3 treatments. r about Hijama and how it works. After listening to my explanation she was willing to try it out. I subsequently performed Hijama on the ‘ala mughits’ and had it done thrice. Two weeks later she had another session after she responded well to the first treatment. In less than 1 month her children called me to inform me of the good news that their mother does not complain of her illness anymore. Alhamdulillah. Hijama therapy works both ways, as a curative as well as preventive. Most of the illnessses that we, humans suffer relates to what we consume daily. The toxins and other pathogens in our blood will react once our immunity systems decline. As a general preventive measure it is best to have Hijama performed every two or three months so that the blood can adequately replenish itself. Usually I get to perform Hijama every month knowing that I have excess uric acid in my blood. Being a member of a local Hijama group has added advantage as there are many colleagues who are willing to help. 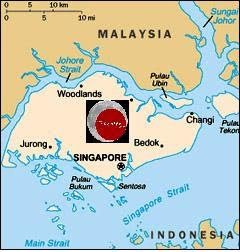 – What is the status and overall prevalance of hijama therapy in your city and in Singapore? Is it available in hospitals and clinics as a valid alternative / sunnah therapy? Hijama therapy is currently being practised behind closed doors as it is not considered a valid healthcare treatment in Singapore. Sad to say that hospitals and clinics in Singapore do not recognise Hijama as an alternative to allopathic medicine. Hijama in Singapore is practiced privately in the practitioners home. Our thanks to Thaifoddin Othman for sharing the above post. If you have any questions or want to leave some feedback, then please do so via a comment* below.